Do you want to create your own animated movies or animated photos ( GIFs ) using your iPhone or iPad ? If you are a creative iOS user and looking for the best animation app for iPhone or iPad, this article can suggest you some fully featured animation apps for your device. These apps come with lots of animated movie creation features which can help you to make your own animated movies with your iPhone or iPad. 1. 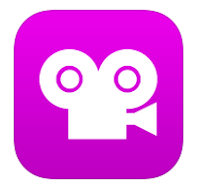 Stick Nodes Pro – Animator ( #iPhone & iPad ) – Sticky nodes animator is a fully featured animation app for iPhone and iPad that lets you create your own animated movie and export your creation in animated GIFs or MP4 movie format. One of the best animation apps for iPhone/iPad, it comes with tons of features which can help you to make professional like animated movies , add animated characters & soundtracks and even your own voice and lots of other movie editing tools . If you want to create animated movies and video clips for YouTube, Sticky nodes Pro app would be the best animator app for your iDevice. Fully functional animation app for iPhone/iPad that comes with lots of amazing features such as – automatic framing option for smooth animation, sound tool with movie like sound effects, virtual camera to move & zoom character like a movie, color & text tools, thousands of stickfigures and many other options. One of the best animation apps for animators. If you are a creative animator and want to make own animated movie like professional, this app could be the perfect option for your iDevice. Recommended #animation app for iPhone and iPad users. 2. iStopMotion for iPad ( iPad ) – Beautifully designed fully functional animation app for iPad users. iStopMotion comes with very easy to use UI that can help you to make your own animated movies quickly. Great animation app that has lots of useful features – camera overlay feature to animate scene quickly with perfection, instant playback option, iCloud integration, online sharing option and more. Simple and easy to use animation app for iPad. iStopMotion is one of the best premium animation apps on the Appstore for creative iPad users. 3. 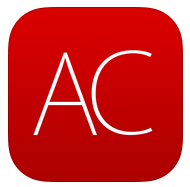 Animation Creator ( iPhone ) – If you are looking for featured rich animation app for your iPhone, Animation Creator would be the best animation app for your device that comes with lots of features. Animation creator is a useful iPhone animation app that lets you create beautiful animations quickly with your iPhone. Animation Creator comes with many useful animation creation tools including easy to use drawing tools, frame management feature , importing projects from express version, importing images to layers using camera or library , custom background option, frame rotation feature and audio support option. Simple, easy and powerful animation app for iPhone users. 4. Animation Desk for iPad ( iPad ) – Animation Desk is a featured rich animation app for iPad that comes with very nice user interface. Great app that comes with lots of animation creation tools which can help you to make beautiful hand drawn animations on your iPad. Useful animation app that allows you to create realistic animation scenes by using amazing backgrounds , audio effects, stamp tools and different types of painting and animation tools. Animation Desk is one of the best iPad animation apps on the Appstore and it helps you create animated projects easily on your iPad. 5. Stop Motion Studio Pro ( iPhone & iPad) – Stop Motion Studio Pro is a fully functional animation app that lets you create professional animated movie easily on your on your iPhone or iPad and allows you to share videos to your Facebook, Twitter or YouTube & social media accounts. Very useful and featured rich animation app that includes tons of features such as preloaded themes, titles & sound effects, overlay mode option to view & control frames, animated objects which can be inserted through grid mode, you can capture images using volume button, a complete movie editing with frame editing option and many other features. Probably the best animation app for creative iPhone users. 6. iMotion Pro ( iPhone & iPad ) – iMotion Pro is a great animation app for your iPhone and iPad that allows you to take pictures, animate your photos, edit videos and export your movies in HD quality to your device or Youtube. Very useful animation app that includes lots of features such as 4 scene capture modes, ultra speed shooting option, variable frame rate playback and many other useful options including capture tools. If you are a professional animator, you would love this concept. iMotion pro is one of the best featured rich animation apps on the Appstore. 7. 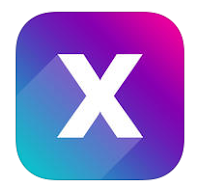 Gifx – Best Gif Editor ( iPhone ) – One of the best free GIF making apps for iPhone users and it comes with lots of animation creation tools including image effects, animated frames , more than 200 GIF effects, 75+ animated masks and social sharing option. Fully functional animation app which can be downloaded free of charge on your iPhone. 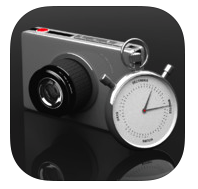 Very useful animation app that lets you add animation to your photos & videos. One of the best ways to create animated GIF images on your iPhone. Note- Articles may not be republished on any site without our permission.